Really excited as Halloween is approaching! 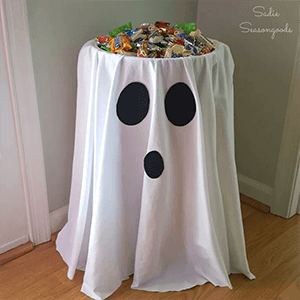 The perfect time to create a lot of scary decorations when throwing a Halloween party at home or just to make you house as spooky as possible for the trick or treaters. You’ll be amazed by the DIY projects you can easily do yourself and no worries, they can be very cheap too! I’ve collected some of the cheapest DIY Halloween projects for you to make. Do you have children? Involve them in the process of making the decorations, they’ll love it! For most of the projects, you will only need some trash bags, empty milk jugs, tin cans, rope, glue and other stuff you’ll probably already have at home. Just have a look at these DIY Halloween projects and take your pick! Your guests won’t be disappointed when entering your yard or house! 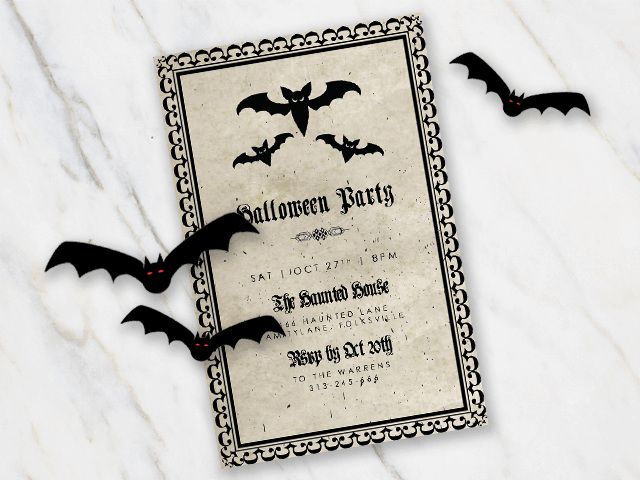 Please do not forget to check out this website for some cool Halloween Invitation Templates! You’ll hands will get a bit messy, but you won’t mind after seeing the result! Check-out the Youtube tutorial of Gilian Bower, it’s really easy! You only need some empty milk jugs and a black marker. 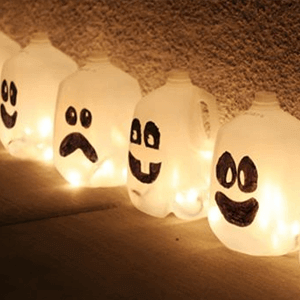 Paint on the different faces and put a small light (be careful when using a candle, the milk jug can melt!) in the jug. Easy does it! 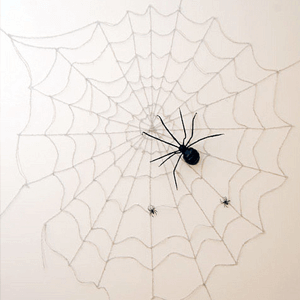 You just need some yarn and two way tape, just have a look at the website (click on the picture of the spiderweb) for the full description. Love these! 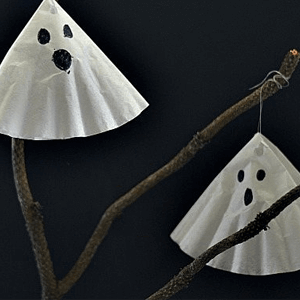 They are so easy and even the smallest kids (who are able to draw) can be involved when making these spooky coffee filters. Have a look at the website for the tutorial. Really easy, try to find some black cups and the lovely wiggly eyes. Stick ‘m up and that’s it! 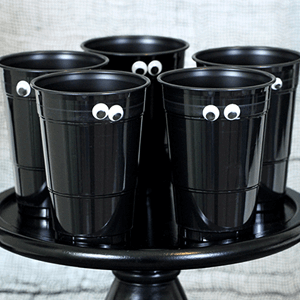 Your guests will definitely enjoy their scary drinks served in these cups! Got some plastic or paper plates laying around? 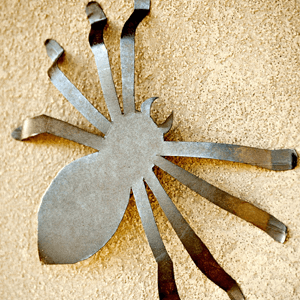 Easily download the spider template via the website, draw it onto the plate, cut it out and spray-paint it (can be optional). 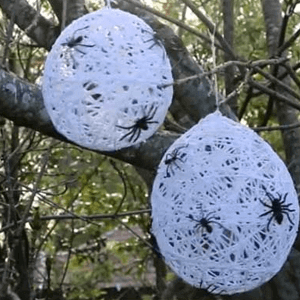 You’ll quickly have some really cool and scary 3D spiders! Cheap and really quick! Check out these black trash bag bats. You’ll probably have some trash bags at home, you can paint on the eyes with white paint, but you might have some tipp-ex laying around, you can also use that to paint on the eyes! Of course you want to serve your guests some ‘spooky’ food. 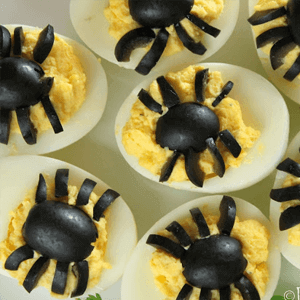 Have you already seen these scary eggs topped with some eatable spiders? They are made out of olives, lovely idea right?! Quickly have a look at the website. Ok, some of the stuff you might nog have laying around the house, but IF you do have it, check this one out! Looks really cool when you have children at the door for ‘trick or treat’. This last Halloween DIY project is really easy and shouldn’t cost that much. 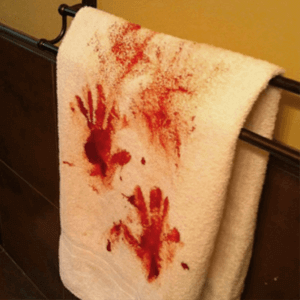 Just get an old towel (or get one from the dollar store), get some fake blood and put your handprints all over the towel…. It will look so creepy! Enjoy these DIY projects and let me know what you think about the list! I build ready-made templates for those special moments in life, e.g. wedding, birth and anniversaries.